Choosing a protein shake that will supply the quality protein to your muscles is an important process for any athlete. Since the market of dietary supplements is filled with various brands and products, the final choice is really difficult to be made. Many users do not want to torture themselves with the choice issues and prefer the popular products like Shakeology or Slim Fast. However, if your intentions about the weight management are serious, you need to make effort in selecting an appropriate diet product that exhibits the required properties. 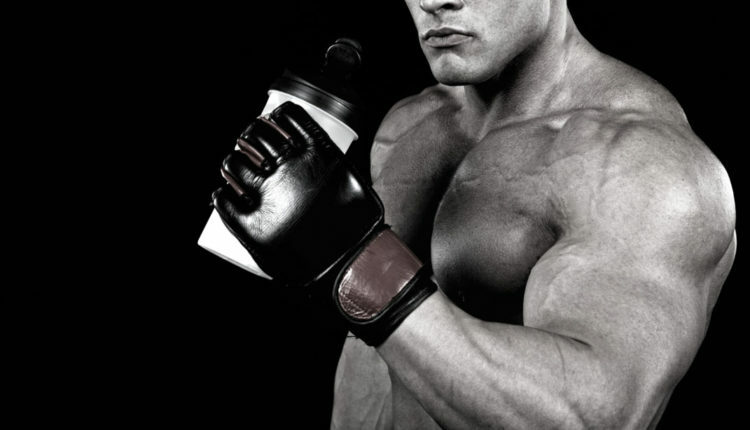 The protein is the key element in any protein shake since it is a building material for the muscles. The quality of the protein directly influences the quality of the shake. The following diet supplements have one common feature – whey protein. Whey is a byproduct of the process of making cheese. It is a perfect protein source for athletes since it is fast digestive. In addition, it provides a high content of amino acids required for various processes in the body. The name of this diet product by Optimum Nutrition is truly righteous. The shake has received numerous awards for its efficiency and overall quality. The optimal results are achieved due to the blend of three whey protein sources. As a result, the product contains 24g of this ingredient in one scoop. The shake can be used as a meal replacement and a diet supplement. The energy value of Gold Standard is 110 calories. It is available in ten flavors. One serving of MuscleTech Phase 8 supplies 26 grams of a top-quality protein blend that consists of seven protein sources. The innovative protein formula is aimed at an immediate supply of protein to the muscles after the workout session. Due to the sufficient caloric content (150 calories per scoop), the muscles are kept fed for a substantial period after the exercise. A hydrolyzed whey protein isolate is the main element of Dymatize Iso-100. This protein source supplies a stream of amino acids to stimulate the recovery and growth of the muscles. Your body will receive 25g of protein along with 106 calories and more than 5 grams of BCAAs in each serving. The shake is free of lactose and gluten and provides the incredible results. This popular product by CytoSport offers a mix of five protein sources. As a result, your body receives 32 grams of protein coming from five sources. You should be careful with using this shake since two scoops provide an enormous energy value – 348 calories! For this reason, the protein shake is considered one of the best for gaining weight. One serving of it also offers 20 minerals and vitamins. You may find CytoSport Muscle Milk in more than five different flavors at your choice. The key ingredient of Syntha 6 consists of six sources that provide 22 grams of a whey protein. The energy value of the shake is also impressive – 200 calories help reduce craving for hours. The product is widely used not only to gain muscle mass but also to reduce fat.